It may come as a surprise to visitors that you can watch and play Ice Hockey in Bangkok. The Bangkok Ice Hockey League (BIHL) is both competitive & professional Ice Hockey. The Bangkok League has 2 divisions each with six teams featuring names like the Flying Farangs, Grizzly Bears, Big Bulls, Thunder, and Warriors. There is also a Siam Hockey League featuring mainly foreign expats but only features four teams. The BIHL regular season runs from May-July with playoffs in August and a grand final in September. There are two games at 20.30 and 21.30 on Wednesdays and Sundays. The SHL runs from November to April. Check the links further down the page for fixtures. The games are fast and competitive on an International standard rink. Some of the players are ex NHL. Admission is free. The rink is on the top floor of the mall which also has a cinema, bowling alley, and many restaurants, making it a good venue for a night out. The rink also has its own bar serving snacks and drinks. The venue also hosts two international tournaments, the City of Angels Classic (over 35’s) in March and the Land of Smiles Classic in October. The tournaments feature 20 teams from around the world. The 2019 tournaments will be held on March 27-30th and October 23-26th (youth), 29-2nd November (Adult Men & Women). A new youth Tournament Tropical Freeze, will be held on July 10th to 13th. There will be six divisions with age groups U6 to Under 16. If you want to play Ice Hockey, head for the Pro Shop at the Rink to find out more. The shop sells Ice Hockey equipment. There are also lessons available for beginners. 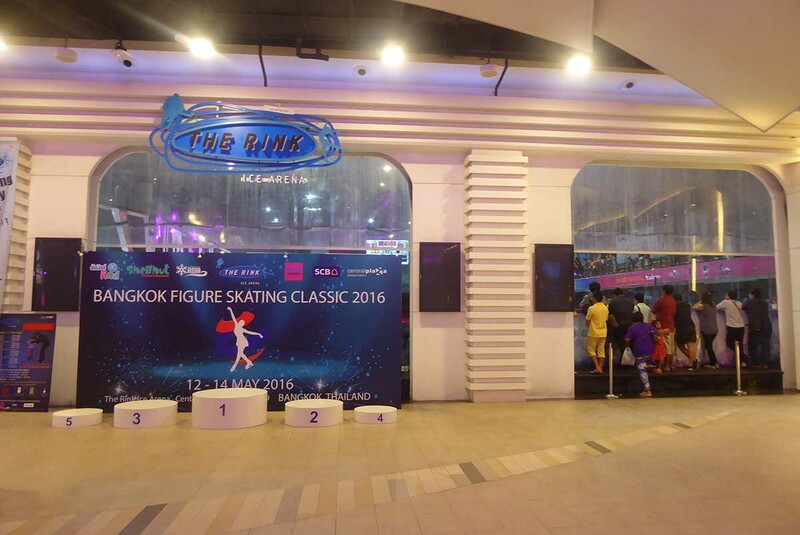 Location: The Rink, Central Plaza Rama 9, Ratchadaphisek Road. Getting There: MRT Phra Ram 9 (exit 2).